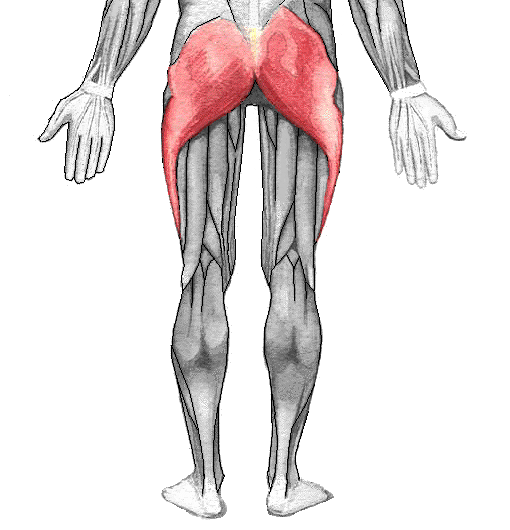 The glutes are one of the most important muscles groups in athletics. Athletes use their glutes every time they run, jump or leap. Not only will strong glutes help you perform better athletically but a lack of glute strength is associated with an increased risk of injury. For example, a study conducted by Healthpartners Specialty Center, Orthopedics & Sports Medicine found that collegiate female athletes who had been diagnosed with knee pain had less glute strength than their pain-free teammates. The relationship between glute strength and injury risk is not fully understood. However, experts agree that glute training is an important part of any exercise program. If you are interested in adding exercises to your workout that will strengthen your glutes, try these TRX moves. The exercises below will help improve your overall lower body strength while targeting your glutes. Put the TRX straps into the mid-calf position. Lie on your back directly under anchor point with your heels in the foot cradles. Keep arms at your sides and palms flat on ground. Exhale, as you press the heels down, engage your core and glutes to lift hips. Bend your knees and draw the heels toward the glutes, keep your hips lifted. Return to the starting position with control. Lie on your back with feet directly below the anchor point, put your heels in the foot cradles. Stiffen your core and glutes to lift hips off the ground. Maintain body alignment and bring one heel towards the glutes while keeping the other leg straight. Switch leg positions while maintaining even pressure on both foot cradles. Switch again to complete one repetition. Put the TRX straps into the mid-calf position. Lie on your back with your heels in the cradles. Bend your knees so that you have a 90 degree bend at both your knees and hips. Exhale, squeeze your glutes, and brace your core, then press your hips toward the ceiling while maintaining the bend in your knee. Extend your hips as far as you can without arching the back or straightening the bend at your knee. Inhale as you lower your hips with control. Set the TRX straps at the midpoint. Try not to pull with your arms as you go back to standing, just use the TRX to support. The TRX provides exercisers with a novel and effective way to train the glutes. By incorporating glute exercises into your workout you can reduce risk of injury, improve athleticism and enhance you physique.